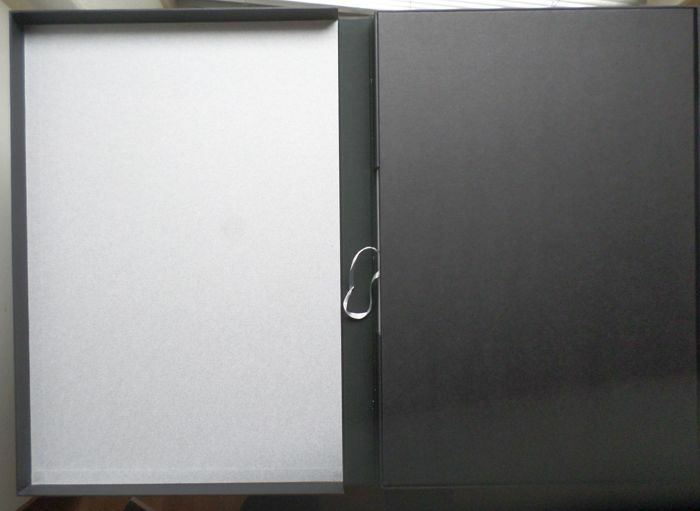 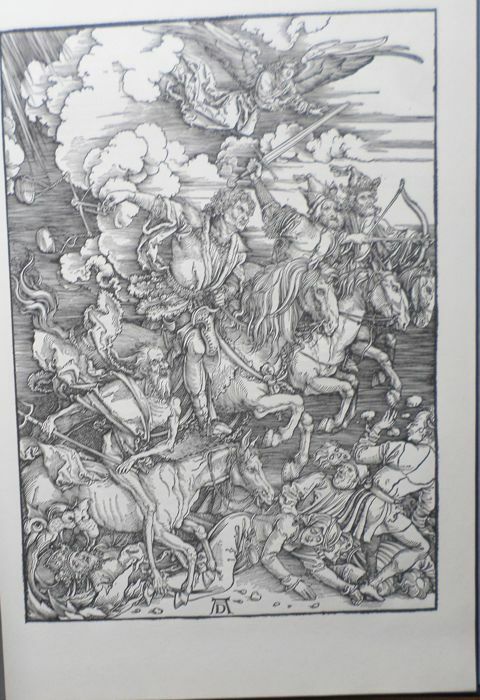 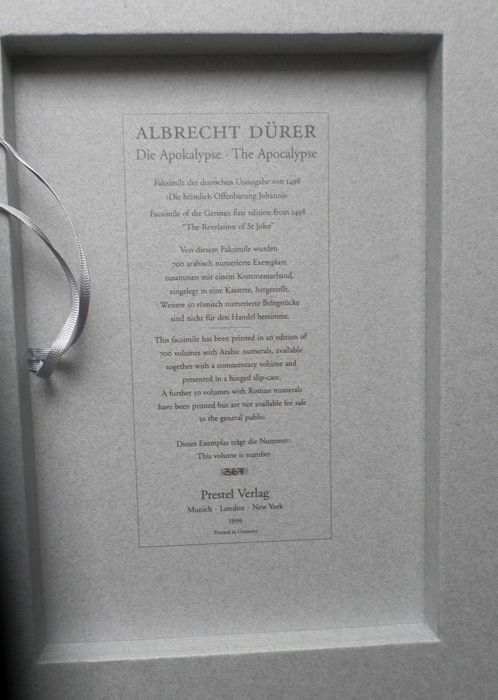 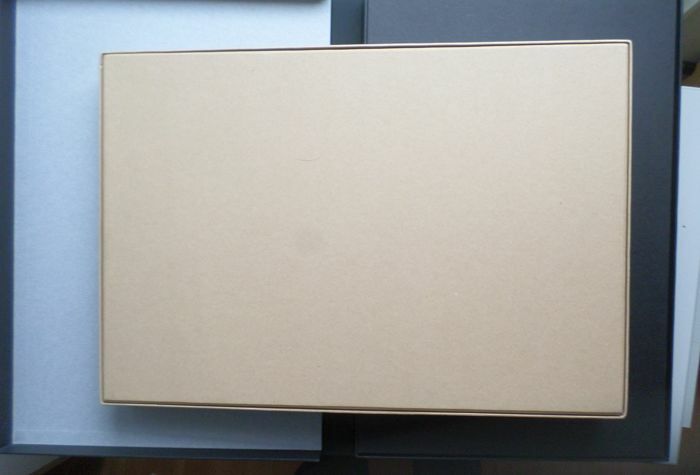 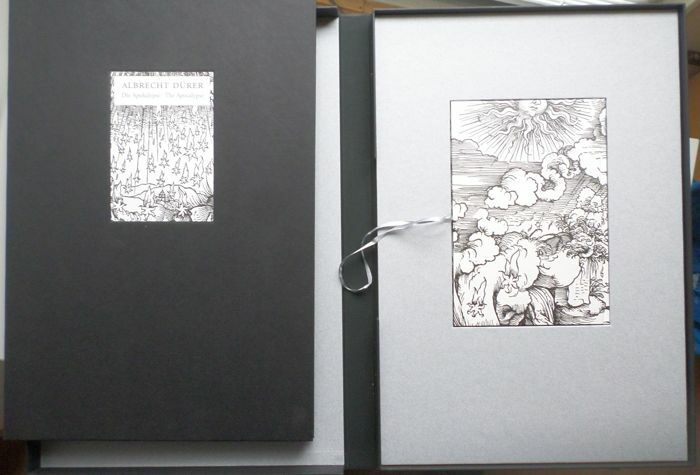 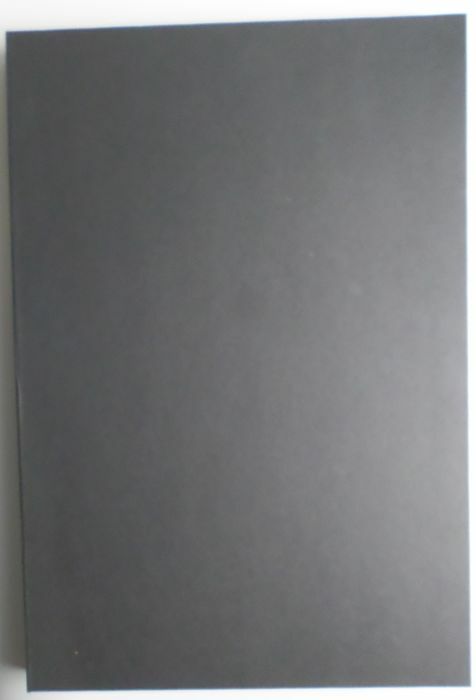 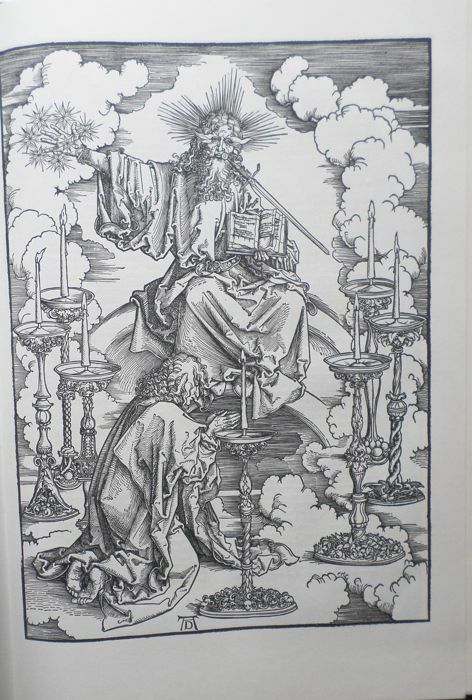 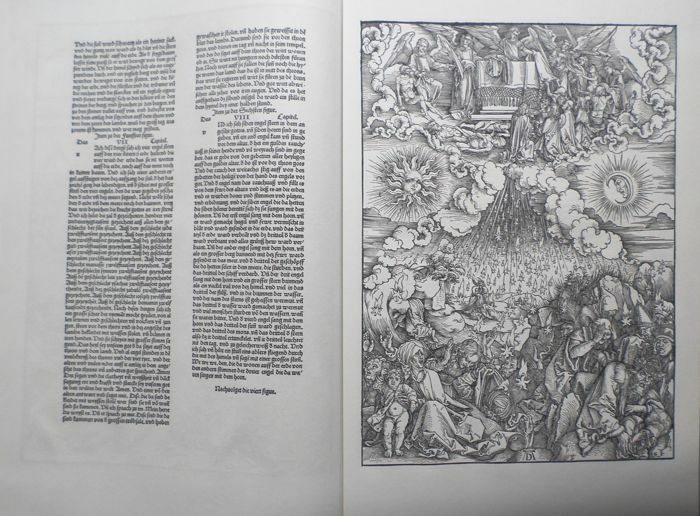 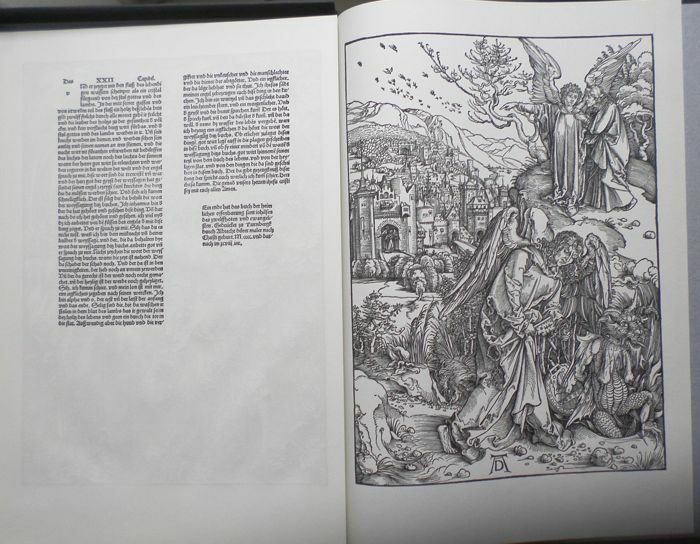 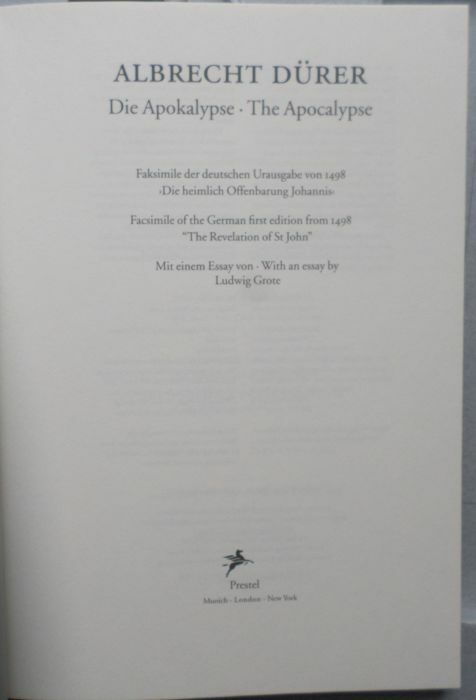 Nr 367 from 700 - Presented in a folder and ornamental slipcase (51 x 35 cm) are 32 pages of woodprints series from Durer's "Apocalypse", and an accompanying volume. 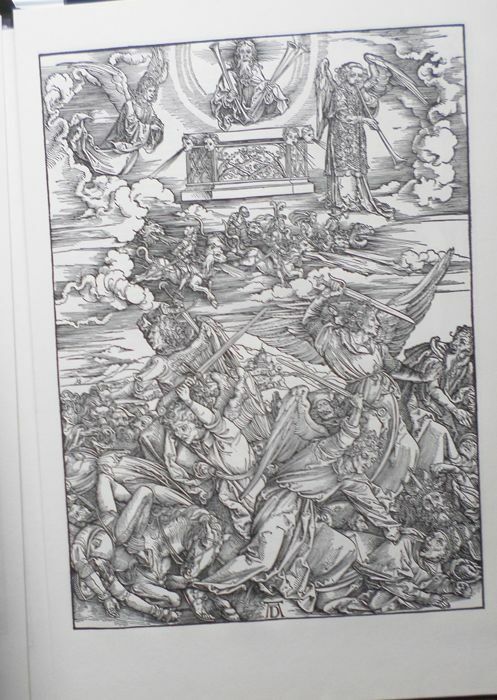 This series was originally published in 1498 in German and Latin making Albert Durer (1471-1528) known in Europe almost over night. 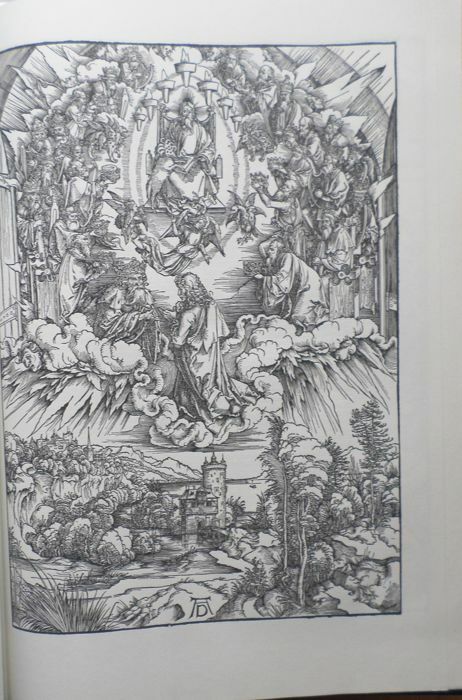 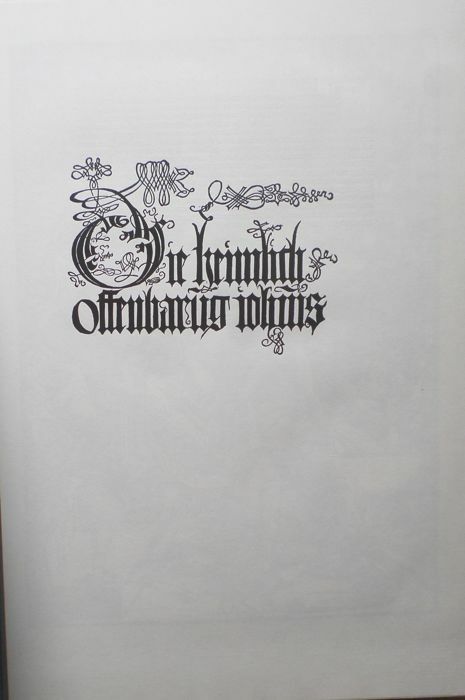 As early as 1511 a second edition followed in book form. 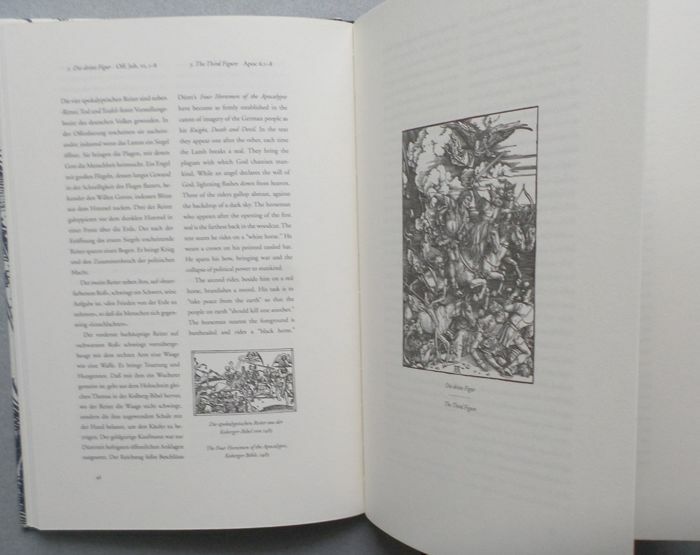 Pictures on 15 large woodprints tell of the horror of the last days and the beginning of the kingdom of God as described in the Revelation of St. John the Divine. 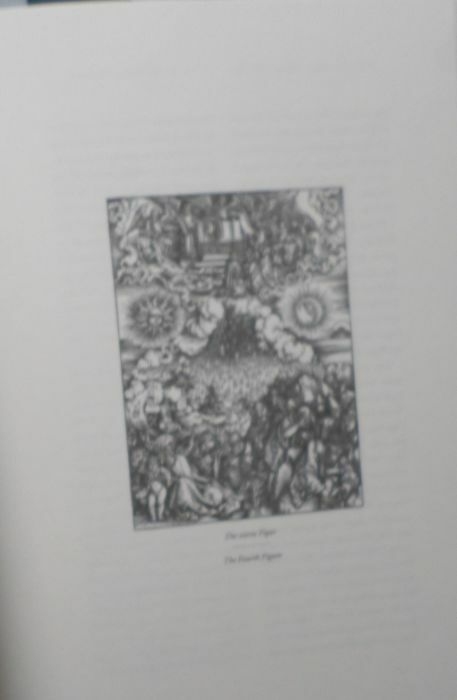 Published shortly before the turn of the 1500s it had a special meaning to the people as the visions were thought to be prophesies of the advancing last days.